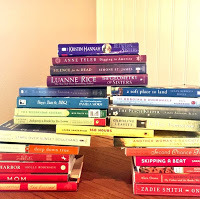 I participated all last week in the Bout of Books 21 Reading Challenge. 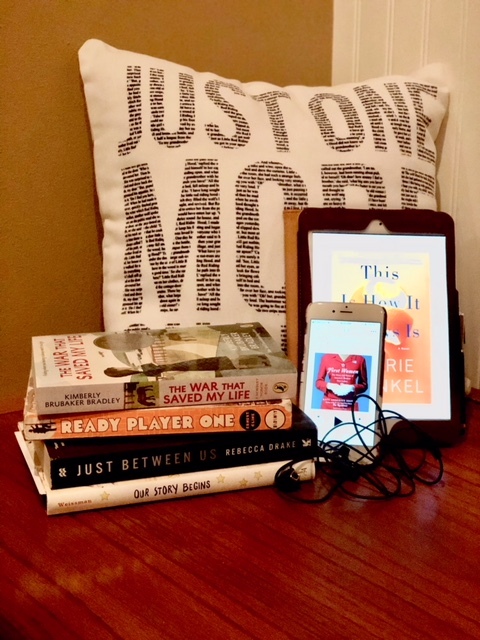 It’s a low-pressure way to jump-start your reading and have fun with other readers at the same time. There were twitter chats and daily challenges and LOTS of encouragement to keep reading. Since I can’t shut off the rest of the world and my responsibilities, I still had to do other things this week. But, I really tried to focus my spare moments on reading. Here is how my week turned out. 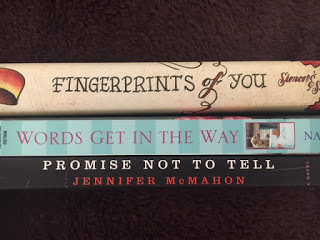 These are the books I had decided to focus on during the Bout of Books 21 week. You can see the full list, HERE. They were all books I wanted to read so I thought that would help push me to keep reading. The challenge today was to describe yourself #insixwords. 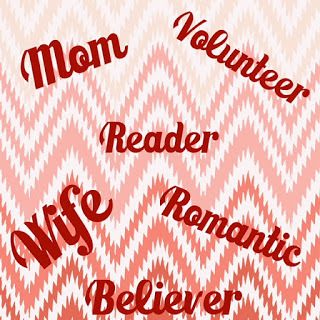 I had a hard time choosing just 6 words because I am so much more than these 6 words. But this is what I shared anyway. There was also a Twitter Chat that evening that was a lot of fun. The challenge today was to post your reading goals. 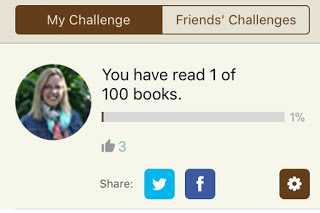 My reading goal this year is 100 books. Last year I read 120 (including children’s books) so this should be manageable. It is basically one regular book and one children’s book a week if you figure it that way…with 2 weeks off. I will also be participating in the Modern Mrs. Darcy 2018 Reading Challenge. I should have goals related to reading my own books from my own shelves, reading books from my Kindle and then deleting them, getting reviews done on time, etc. But, that is pretty much just setting myself up for failure. LOL! 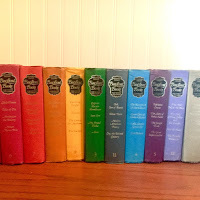 The challenge today was to make a book rainbow. I chose to make two book rainbows. The on of the left is from random to read books off my shelves. The other is from my collection of The Reader’s Digest Best Loved Books for Young Reader’s Collection. The challenge today was all about favorites. Unfortunately, I didn’t get a chance to participate today. It was a busy day. I had a lunch date with my husband and our nephew and we had a little winter storm blow through and we celebrated our daughters 13th birthday. So, not as much reading as I would have liked. The challenge today was a Newspaper Headline. I didn’t have a chance to get something done for this one. Pages read: Zero – too many things going on today and basketball in the evening. I was too tired when I went to bed. Minutes listened: 2 hours on audio of FIRST WOMEN– I had appointments and errands to run so I listened while driving. The Challenge today was Book Spine Poetry. I’ve never been very good at poetry, reading or writing it. But, I thought this left a lot to the imagination. It gave me the image of an abused woman. Probably because I’m dealing with that subject in the book I’m reading, but the woman is thinking of fingerprints that he left behind…maybe on her neck. His words get in the way – his apologies his excuses – of her leaving him. He constantly is asking her to promise not to tell anyone. There was also a twitter chat, but I wasn’t able to participate. Pages read: 179 pages read and finished JUST BETWEEN US. Minutes listened: 30 minutes on audio of FIRST WOMEN while getting ready to head to more basketball. Today’s challenge was to write a book review for a book you finished this week. I didn’t have a chance to do that today as we were at my parent’s house all day for a family gathering. I’ll be posting two reviews this week. Minutes listened: 30 minutes on audio of FIRST WOMEN while getting ready to head to my parent’s house. So, I didn’t reach my goal of finishing 6 books and instead only finished one book, JUST BETWEEN US. But, I am very close to being finished with my audiobook and can focus on the others this week hopefully. I have some review books looming so we will have to see how the week plays out. I just really appreciate these read-a-thons because it forces me to THINK about reading during any spare moment. It rekindles a love for reading. It gets me talking about books on social media. It introduces me to other readers, writers, bloggers, and book lovers out there as well. And, the best part is it always introduces me to new books I should read. 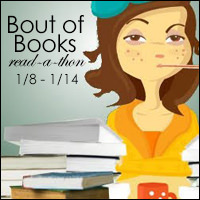 Thanks to the Bout of Books crew for hosting and if this sounds fun to you, be sure to check out Bout of Books 22 that begins on May 14. That is graduation week for our son, so I KNOW I won’t be able to participate in that one. But, if you have a chance, I would highly recommend it. This post contains affiliate links. If you choose to purchase the book through the above links, I may receive a small commission without you having to pay a cent more for your purchase. Thanks for supporting SincerelyStacie.com. Sorry you didn't meet your goal, but I hope you still had fun.